We were proud to host the YMCA Mental Health Champions conversation with the Duke of Sussex this month at YMCA South Ealing, chaired by YMCA St Paul’s Group trustee, Gerald Chifamba. 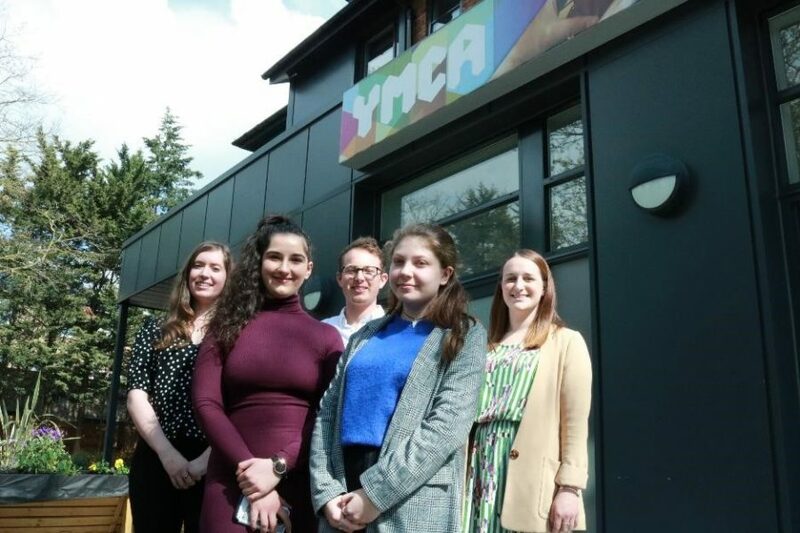 The YMCA Mental Health Champions programme aims to improve the mental health of young people aged 11-21 and offers three key services: a peer support programme in schools and the community; key adult education and awareness workshops; and a counselling service. Jacob Bayliss (pictured above), 28, is the Engagement & Participation Coordinator for the Right Here project at YMCA Downslink Group. He works very closely with the NHS, Healthwatch and schools in delivering peer-to-peer mental health education and awareness sessions. “It was fantastic to meet the Duke of Sussex, as we support around 15,000 young people across our services in the county of Sussex. It was nice to see that he was on the same page as us around a lot of the issues young people face, like social media, accessing services, and how important it is to have early intervention,” says Jacob. “The Duke echoed a lot of our views and values at YMCA, and shared his thoughts on how important it is for young people to create their own solutions. We talked about the success of the #IAMWHOLE campaign, and how this was youth-led having grown from a local group of young people at YMCA Right Here. Ella Sowton (pictured above), 28, is the Inclusive Youth Projects Worker for YMCA East Surrey’s mental health and wellbeing project, called WAVES. Sophia Zahra (pictured above), 22, is a support worker for YMCA Swansea’s Young Carers project. She was a young carer for her terminally ill mother and grandmother. Losing both these family members led her to fail her exams, be unable to find work, facing homelessness, whilst struggling with an array of mental health difficulties.